Apart from the huge assortment of Nike tennis wear, Keller Sports offers you the new KSPME , the Keller Sports product matching engine so you can end up with a small pre-selection of suitable articles from the vast range we have on offer. Moreover we have a specialized team available who can answer individual questions with expertise in all matters relating to your new tennis equipment. The team is composed of experienced athletes who not only have theoretical knowledge about the sport you play, but also have hands-on experience with Nike tennis products. 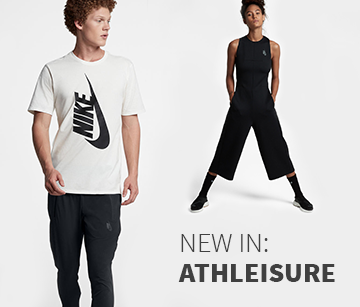 Keller Sports offers you an uncomplicated purchase of Nike tennis wear online in conjunction with high quality guidance through personal contact that you normally only find in physical stores. Keller Sports is innovative and improves with you in mind: Nike tennis products at reasonable prices with a special advice service, all with fast inexpensive shipping!